Editor’s note: The purpose of the “Find of the Day” is to promote interesting cars from our classifieds. 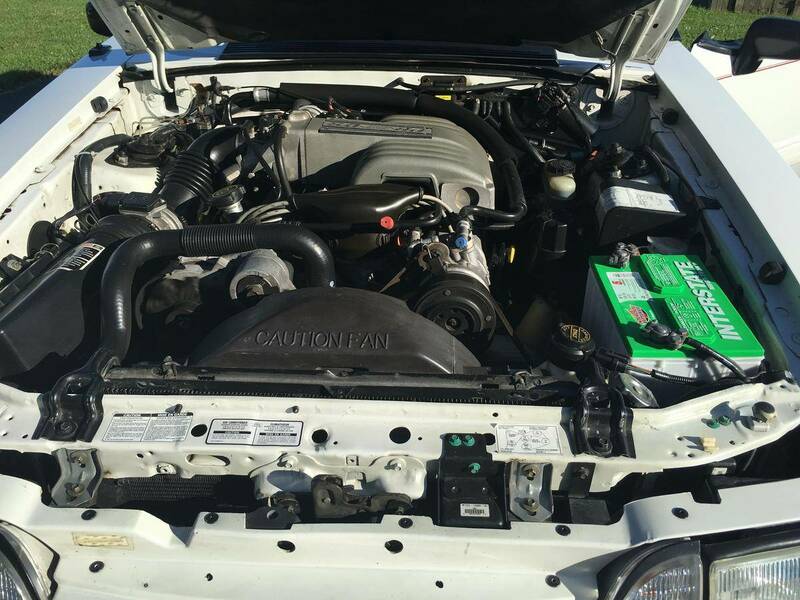 These are not the actual ads, so to view more images or contact the seller with questions, click on the hyperlink (underlined green text), which will take you to the classified ad itself. 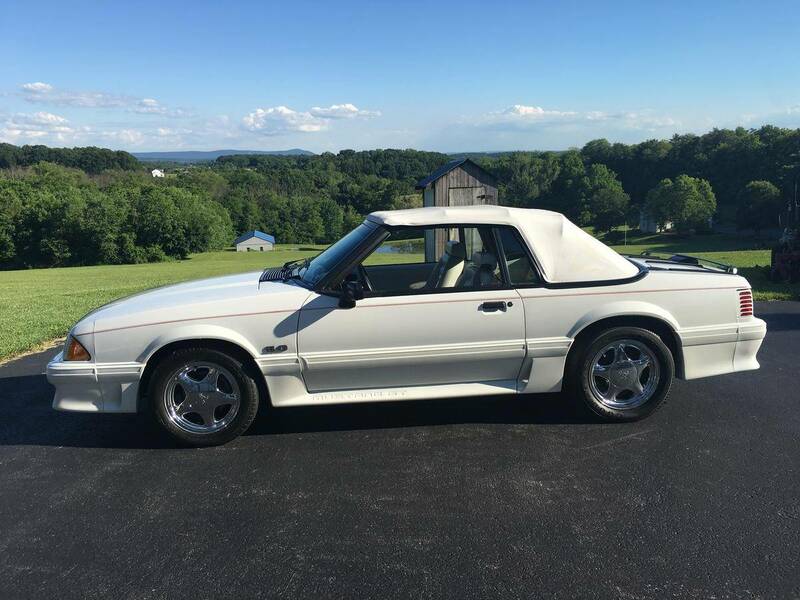 Gorgeous triple white GT convertible, 5.0L with only 34,000 miles. 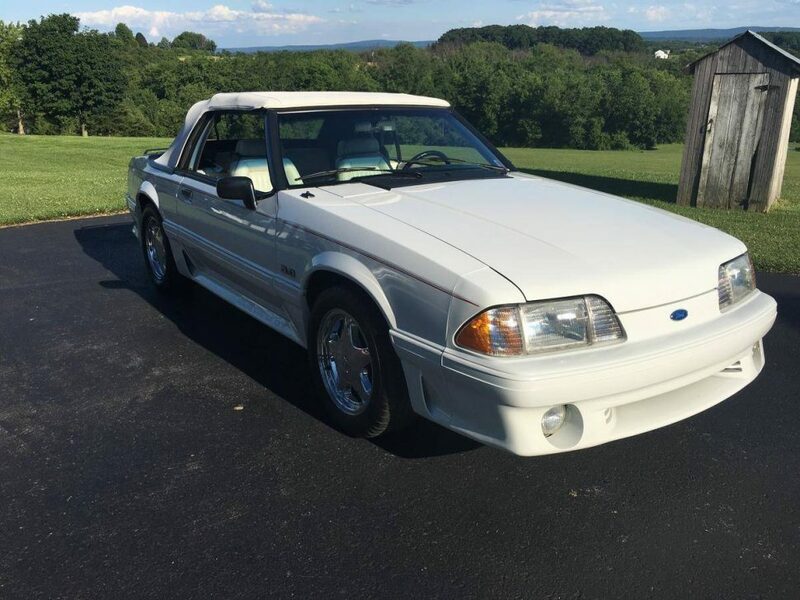 This is a wonderful pampered Mustang that comes with an automatic transmission, power windows, power steering, power locks, a/c, new pony floor mats, am/fm cassette with clock. No rust, dings, scratches, or dents. Just one awesome car! Runs and drives like new. 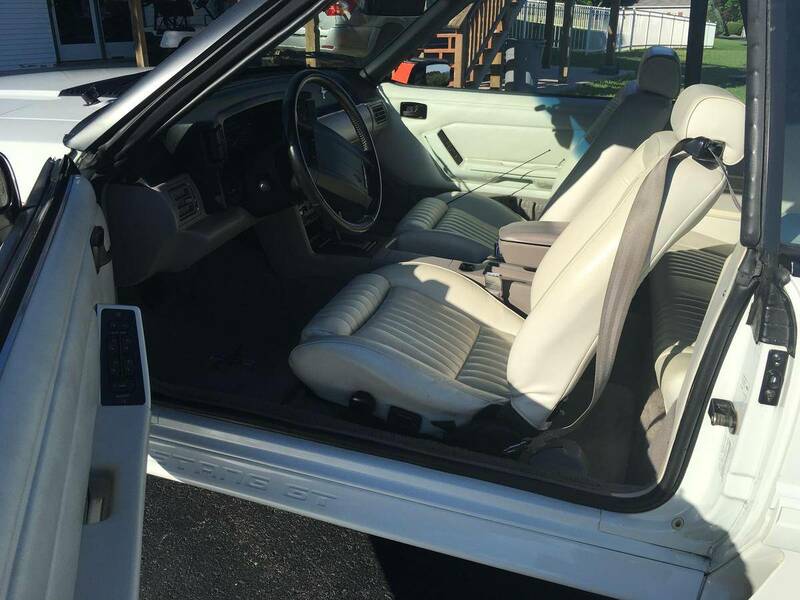 Interior is gorgeous white with no rips or tears and is extremely clean. Never smoked in, top is excellent and goes up and down with no issues. The pictures don’t do it justice. It has been kept in climates controlled garage and covered. 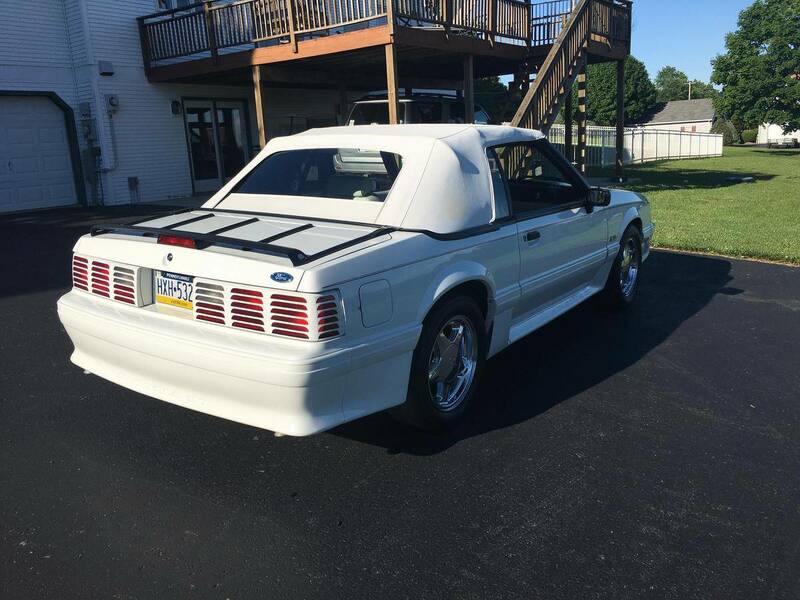 I have had several 1991 fox body mustangs and this is truly one of the best that I have had. Triple white color combo is awesome and turns heads every time I take it out. This mustang has not been driven hard and is simply a great car.